You'll come for the sunshine, but you'll stay for the people. From where you're kneeling, it must seem like an 18-carat run of bad luck. But the truth is... the game was rigged from the start. 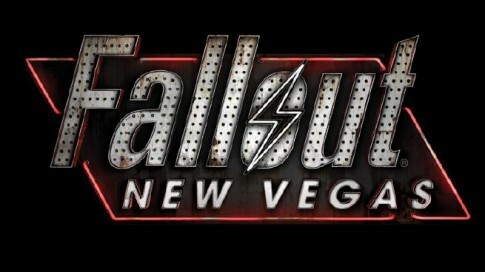 Fallout: New Vegas is an RPG/first-person shooter from Obsidian Entertainment. The game is the fourth (canonical) game in the Fallout series, and is chronologically taking place after Fallout 3, but it is not the next numbered main game in the series (kind of what Vice City was to the Grand Theft Auto series). A good chunk of the development team were exiles from the late Black Isle Studios - responsible for Fallout 2 and the canceled Van Buren... which led to much rejoicing. The Mojave Wasteland is an okay place to live. It doesn't have as many problems as most places do, what with it being relatively radiation-free with lots of creature comforts. There's a bit of a gambling problem, but that's fine. Stimulates the economy, hey? And then there's Mr. House, a businessman with a lucky streak, who's got the Lucky 38 casino under his thumb, along with New Vegas, a city with lights shining bright like the blue moonlight, thanks to the power from the Hoover Dam. Well, Caesar's Legion is a bit annoying, what with their rampant slavery and near-insane following of what they know of ancient Rome; and the extremely persistent New California Republic isn't much better, with their obvious intentions of making the technologically gifted New Vegas part of their nation, whether through political means or forceful annexation. That's all somebody else's problem, anyway. You? You're The Courier, one of the best messengers around, as long as the package isn't too big. And this one really isn't. It's almost boring, even. But hey, you get to go to New Vegas, the biggest, brightest city in the wasteland. Should be pretty fun, right? Guess again. Only a few days into your trip, a mysterious man in a checkered coat, supported by a group of gang members, shoots you in the head and takes your package, leaving you for dead in a shallow grave. Normally, you would be dead now, but luckily for your couriering self, you manage to cling on to your life long just enough to be dug up by a friendly robot that thinks he's a cowboy. The robot drops you off at the local doctor, and within a few days you're back on your feet and on the road to recovery, with two clear goals: finding out what was in that boring little package, and getting it back and delivering it. An add-on Dead Money was released for the 360 version on December 21, 2010. The PC and Play Station 3 versions were released on February 22, 2011. In it, the Courier has to rob the fabled and legendary Sierra Madre Casino, said to contain the greatest treasures of the Pre-world. The Courier is forced to do so at the behest of an insane former Brotherhood of Steel Elder who unfortunately uses explosive collars to ensure obedience. The Courier is joined by three unlikely companions: Dean Domino, a ghoulified singer and extremely jealous douche; Dog and God, a rather disturbed Nightkin (and not the funny kind, either); and Christine, a mute Brotherhood Scribe. They all must battle against the casino's myriad traps and hazards, including the hard-to-kill Ghost People and invincible, laser-shooting holograms, all the while trying to reconcile with the demons that led them to the casino. The second add-on Honest Hearts was released on all platforms on May 17, 2011. It has the Courier being ambushed on a caravan trip to New Canaan and getting caught up in the tribal politics within Zion National Park. The Courier is saved and soon joins up with the Dead Horses tribe and Sorrows tribe, both headed by New Canaanites Joshua Graham and Daniel, as they fight off the White Legs tribe, a sadistic band of raiders promised admission to Caesar's Legion once they eradicate Graham and the remaining New Canaanites. The balance of power within Zion had been mostly equal until the Courier's intervention. Once again The Courier is joined by new companions: Follows-Chalk, who wishes to explore the world out of Zion; Waking Cloud, a Sorrows tribal learning under Daniel; and The Burned Man himself, Joshua Graham. There the Courier must choose between preserving the innocence of the Sorrows or send them to war and protect Zion at the cost of their innocence. The third add-on Old World Blues was released for all platforms (but not on all continents) on July 19, 2011. It's slightly based on the cut content from Fallout 2. The Courier gets kidnapped to the mysterious Big Mt. Research and Development Center, known throughout the wasteland as the "Big Empty" by its mysterious caretakers, the Think Tanks, a group of pre-war Mad Scientists. They need The Courier's help in dealing with Mobius, a rogue scientist along with the several experiments of theirs that have gone amuck. At the same time, The Courier must also recover their brain, heart and spine (which have been surgically removed). A former companion from Dead Money, Christine, along with the mysterious Ulysses have brief audio cameos. The final add-on Lonesome Road was released on September 20, 2011. Receiving a message from Ulysses, the courier who gave up the job that set this whole story in motion, the Courier is called to travel alone to the Divide, a former Old World compound that was devastated (moreso than usual) by the War. There, both couriers will face their pasts, their futures, and what it truly means to make a difference. Two more small add-ons were released on September 27, 2011. The Courier's Stash, which is a bundle of the four pre-order equipment packs; and the Gun Runners' Arsenal, which adds more weapons, mods, ammo, and crafting recipes to the game. Finally, in February 2012, the Ultimate Edition was released... the game and all the add-ons in one box.